If you have no idea where to stay in Los Angeles, we got you. Here are the trendiest neighborhoods, hotels and sights. L.A. is a sprawling, hugely varied place, which can make deciding on where to stay in Los Angeles a difficult task. You could go all out with a plush hotel by the beach, or opt for a more affordable budget hotel and save those extra dollars for cocktails. 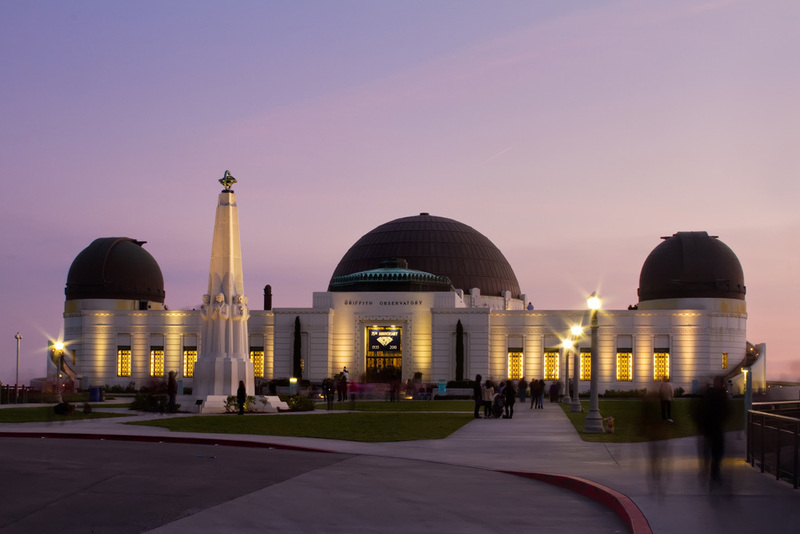 You could stay in the midst of the action of Hollywood’s famous attractions, or get as far away as possible and find the real L.A. 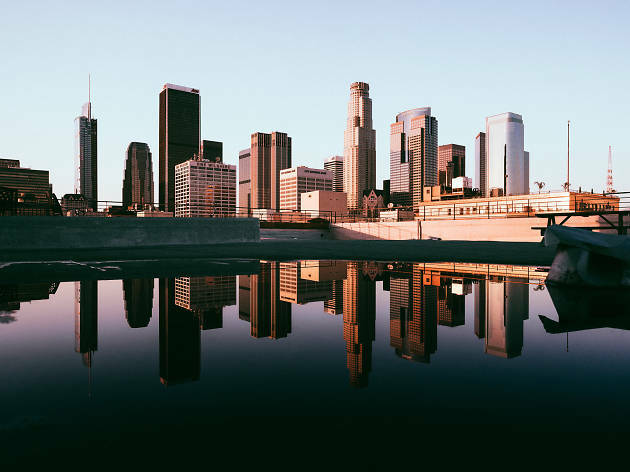 If you’re struggling to decide, we’ve taken some of the guesswork out of where to stay in Los Angeles with these five neighbourhoods, including Downtown’s most talked-about area and an vibrant beachside ‘hood. We’ve even called out which areas can be reached by the L.A. Metro; so you that infamous L.A. traffic won’t clog up your trip. 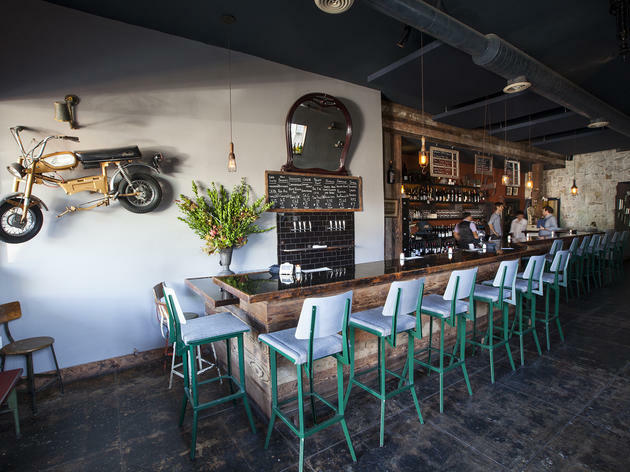 Long known as L.A.’s slightly dishevelled but beautifully bohemian enclave, the beachfront neighbourhood of Venice has been transformed in recent years with the arrival of farm-to-fork foodies and tech-industry titans. There’s the most happening at the end of Venice Boulevard on the pedestrianised Ocean Front Walk more famously known as the Venice Boardwalk; the fancy fashion boutiques and relaxed but refined casual eateries along Abbot Kinney Boulevard; and the low-key dining scene Rose Avenue a few blocks inland. There’s no train service here but Metro does offer a bike share system. Get your day off to a good start at Gjusta, the hugely popular bakery renowned for folding fresh fruit slices into sugar-glazed dough. Temple to authentic, handmade pasta Felix Trattoria dishes out perfectly al dente handiwork alongside small plates and great pizzas; make sure you get there early for the papperdelle, it’s so good, it’s usually all gone well before the end of the night. 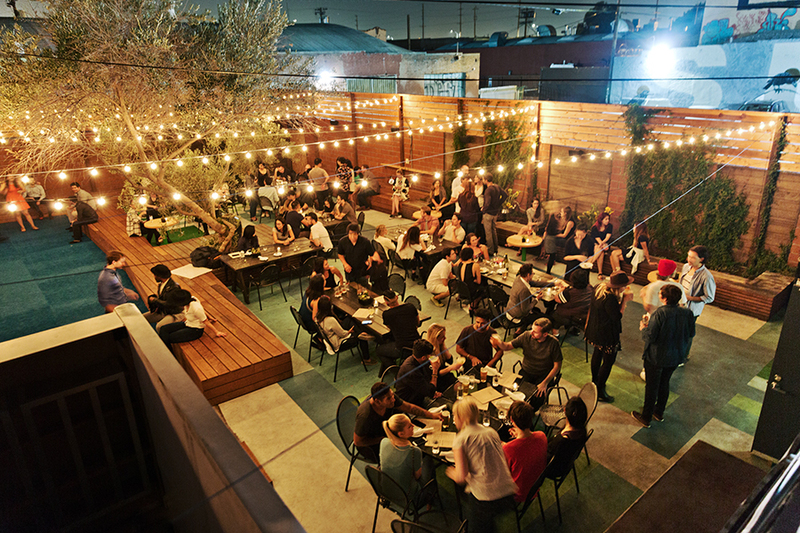 Lose yourself in an L.A. sunset with a drink firmly in hand at Hotel Erwin’s High Rooftop Lounge, a primo patio overlooking the Pacific, then finish off your day with a nightcap at The Lincoln, a relaxed industrial patio bar with an unusual but excellent cocktail list. Stroll along the Venice Canals from which the neighbourhood gets its name and take in the beautiful scenes along the water. From arching pedestrian bridges and charming beach houses to bunches of ducklings and maybe even the occasional paddle boarding bulldog. The Venice Beach House is a historic, ivy-covered craftsman-style inn that dates back to 1911. That rich sense of history doesn’t get in the way of modern comforts though, with each of the nine rooms beautifully and individually decorated with all the amenities you’d expect. There’s a range of options and prices, from a shared bathroom all the way up to an extravagant suite with it’s own private entrance looking out across the ocean. Stop by Poke-Poke and eat the Hawaiian seafood specialty from a seat on the sand nearby. The swanky shopping plazas, tree-lined streets and billboard-daubed high-rises of West Hollywood conjure up more of a sense of Hollywood glamour than Tinseltown itself. Probably best known for the once gritty, now gentrified Sunset Strip, West Hollywood (or WeHo for short) is a vibrant, forward thinking place where you’ll find some of Southern California’s most eclectic nightlife scenes. To get there, you'll need to go by car but the colourful gay bars on Santa Monica and the world-famous clubs on Sunset Boulevard are best explored on foot. Peruvian food haven Rosaliné offers mouthwatering ceviches, table-sized pans of paella and perfectly cooked steaks straight from its flame filled kitchen. Vegan eatery Gracis Madre is a cross between Palm Springs casual and Mexican Chic, with a bright, airy setting. Go for the guacamole and the sopes con piña, two masa cakes piled high with pineapple salsa. Melrose Umbrella Co. channels the bad old days, with well-crafted cocktails suited for the end of Prohibition. Now Boarding takes its theme from the golden age of air travel, mixing sophisticated sips and inventive swills alike (tequila in a can of Squirt is just one option) beneath softly glowing retro chandeliers. Take in the latest free exhibition at the Pacific Design Center, a design and architecture-driven outpost of MOCA. Explore the stunning modernist Schindler House, where the MAK Center for Art & Architecture has its home. Or swing by the storied Troubadour, an intimate club where up-and-comers share the stage with singer-songwriter icons. 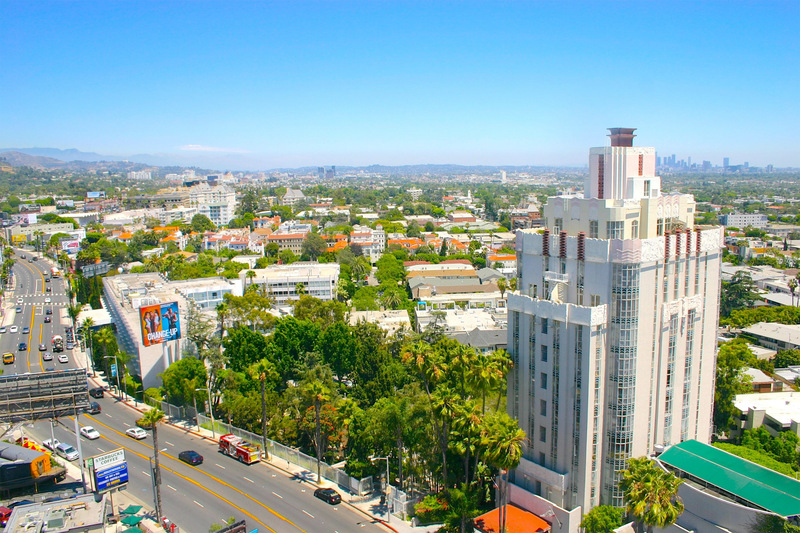 Hip hotel chain the Standard, Hollywood has its first location right in the middle of Sunset Strip, offering low-key yet cool accommodation. Former Downtown favourite Alma is now in charge of the culinary program, including the mid-century style diner that’s open 24/7. Laugh your evening away at the world famous Comedy Store, a dim dive of a comedy club where you’re almost certain to see stand-up legends and sitcom stars any night of the week. 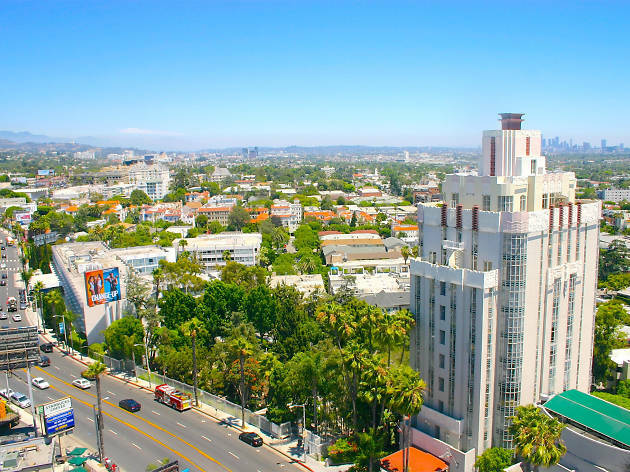 This tightly packed, 24/7 city centre has balanced Art Deco history with a 21st-century building boom thats transformed Koreatown into one of L.A. most exciting neighbourhoods. From Korean BBQ joints to raucous karaoke bars, most of Koreatown’s best spots are spread out across the area, but along Wilshire Boulevard between Vermont and Western Avenues is where you’ll find the most going on. 6th Street in particular has a dense stretch of bars and restaurants packed in. 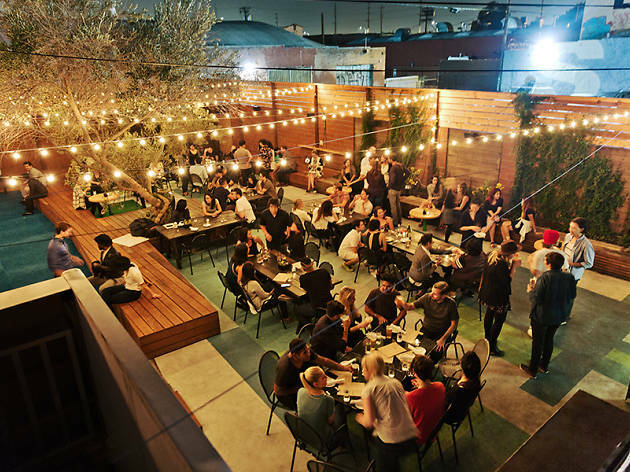 The area is well served by Metro’s Purple Line, so skip the hassle of street parking and allow yourself to imbibe a steady stream of soju in one of L.A.’s most vibrant neighbourhoods. Guelaguetza is Koreatown’s most memorable restaurant, but you won’t find bimbimbap or galbi here. This places serves incredible Oaxacan food - the rich black mole-topped tamales as well as its tlayudas, pizza-like corn cakes, are phenomenal. The Walker Inn serves an ever-rotating menu of inventive and ambitious cocktails that are available by the drink or via omakase-style ordering. Pass through the secret black door of the Normandie Club’s and discover a world of curious mixology. The massive, 24-hour spa Wi Spa is the Disneyland of Koreatown saunas, featuring hot tubs, treatment rooms, dry and steam saunas, a restaurant, sleeping rooms and the co-ed-friendly jimjilbang. With expansive floor-to-ceiling windows that offer a incredible view of the city, food and drink by Roy Choi (who helms POT and Commissary) and a karaoke bar by the Houston Brothers (Break Room 86), the Line Hotel lives and breathes Los Angeles. Add to that stylish modern furnishings, an outpost of gift shop Poketo and free yoga on Saturdays, we won't blame you for never leaving. Share slices of melt-in-the-mouth Kobe-style beef with friends at Park’s BBQ, K-town’s undisputed KBBQ king. Edged by Griffith Park to the north, Los Feliz has a cozy, evergreen-lined hillside and unique charm. Back down towards the flats, the eateries and shops that run along both Hillhurst and Vermont Avenues have a more casual and comfortable feel than nearby Hollywood without the achingly hip vibe found in its neighbours Echo Lake and Silver Park. Metro’s Red Line runs all the way to the southern edge of Los Feliz, where you can also jump onboard a DASH bus to the OBservatory. Oh, and FYI: it’s pronounced Los FEE-lisz. On the eastern side of the neighbourhood, the city’s most delicious Ensenada-style battered fish tacos are served up at Ricky’s Fish Tacos, which parks its food truck along Riverside Drive. Kismet is jam packed with brilliant Turkish and Mediterranean-inspires shareables and snacks - the shakshuka, broccolli toast and fantastically flakey bread and dips are all great choices. Take a seat in the idyllic twinkle-lit courtyard at Big Bar and sample from a selection of playful but unfussy perfectly concocted cocktails. Stop off at the bright and airy Skylight Books and search through the independent store’s thoughtfully curated staff picks for some mind stretching reading material. Peruse an always different assortment of pop culture at Soap Plant Wacko and its adjoining gallery La Luz de Jesus. Then catch an early evening matinee in the opulent, Egyptian style Vista Theatre. Hotel Covell, a five-room boutique hotel located above Bar Covell. Each room conjures a different phase in a fictional, well-heeled traveler’s life—think a humble Midwestern bedroom, New York in the ’50s and a Parisian love nest. There’s no pool or gym, but amenities come in other forms: an attentive concierge, an intimate rooftop deck and miraculously soundproof rooms. Climb atop Barnsdall Art Park’s lonely hill to take a self-guided tour of the 1921, Mayan-inflected Hollyhock House, Frank Lloyd Wright’s first California construction. Downtown’s Arts District has adorned its historic warehouse aesthetic with vibrant murals and sidewalk seating. The nieghbourhood was once a stronghold for local artists, but has now become home to handsome coffee shops, bespoke boutiques and a mix of bar bites and fine dining. Even as its profile rises, the Arts District still adeptly mines its under-the-radar air. The area can be a bit of a transit black hole—Metro’s Gold Line stops on the very western edge, while parking is often tight on weekends—but the neighborhood’s closest thing to a center, the intersection of 3rd Street and Traction Avenue, is quite walkable. To say that you’ll need a reservation for Bestia is an understatement, but the wait is worth it for this thoughtful, ingredient-driven Italian menu. The house-cured salami is superb, whether it’s part of a charcuterie board or atop a puffy pizza with mozzarella, black cabbage and fennel; and housemade pastas come tangled together with lobster and sea urchin or tossed with lamb ragu and saffron. For a sweet treat, the original Pie Hole location serves exceptional slices of Mexican chocolate and Earl Grey recipes. The bustling, bright interior and twinkle-lit patio at Everson Royce Bar’s are both perfect settings for its refined cocktails—and seriously delicious burgers. The Arts District is also home to an growing number of craft breweries (including Angel City Brewery, Arts District Brewing Co. and Iron Triangle Brewing) and distilleries (Greenbar Distillery, the Spirit Guild and Lost Spirits). International art gallery Hauser & Wirth boasts a museum-caliber collection of contemporary art and modern masters, housed in a former flour mill. 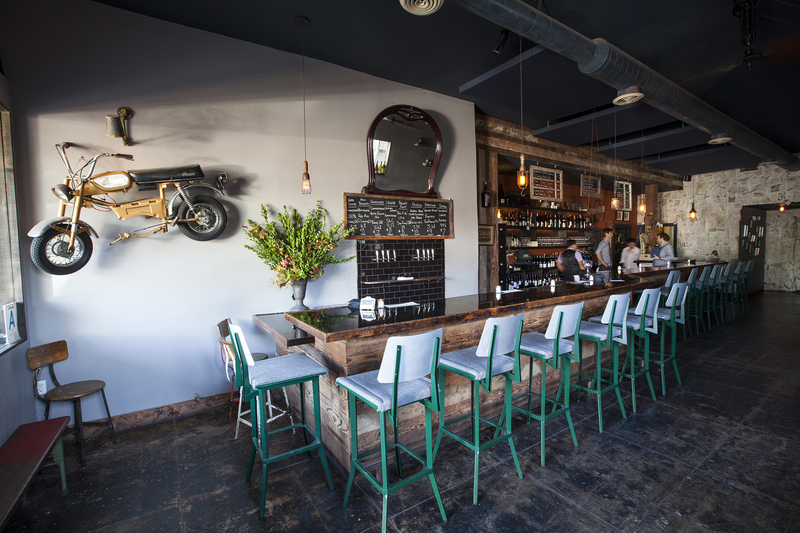 Sit down for dinner at Manuela, the rustic-chic complex’s Southern-inspired restaurant. It might be L.A.’s of-the-moment neighborhood, but the Arts District has somehow eluded hotel developments—for now. In the meantime, booking an Airbnb stay in a luxury loft is your best bet. If you’re looking for more conventional accommodations, the Doubletree on the border of Little Tokyo should do the trick. Indulge your inner foodie at Smorgasburg LA. The ROW DTLA market is the Arts District’s go-to destination on Sundays for its hotbed of fantastic food and retail vendors. 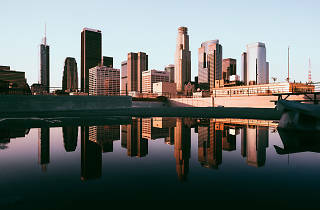 Want to see more of L.A.? 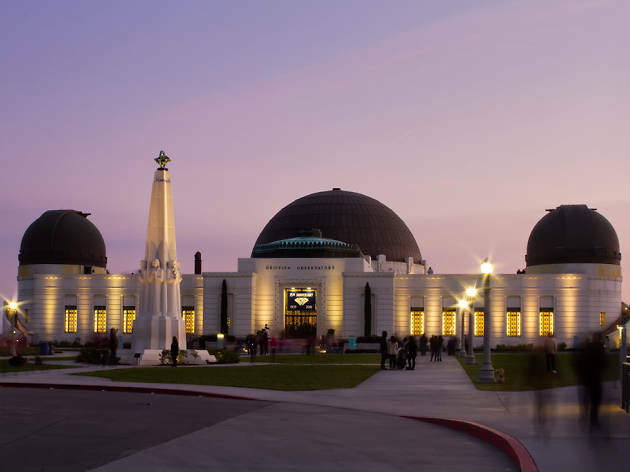 Discover ways to fall in love with the city for the first time or all over again with our extensive list of Los Angeles attractions.